We would like to invite all young people in School Years 3 to 11 to participate in this exciting event taking place in July as part of JAFFA, Jewish Arts Festival For All. 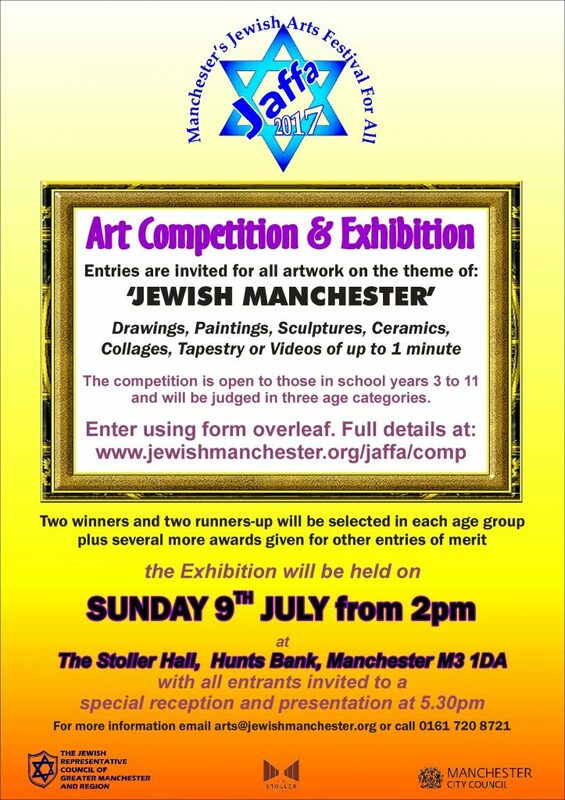 The Theme is ‘ Jewish Manchester’ and we are looking for creativity across the whole platform of art. Drawings, paintings, craft, ceramics, sculpture, modern digital. All details are on the registration form regarding packaging , size of paper to be used and where the art work can be submitted. This form must be completed when submitting the work. Please give this your support.